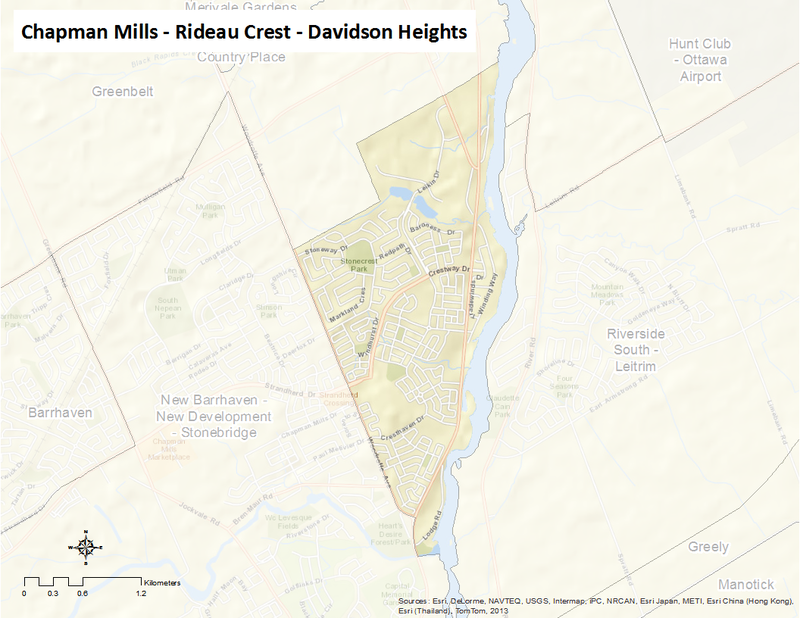 Chapman Mills-Rideau Crest-Davidson Heights is bounded by Stoneway Drive in the northwest and Crestway Drive in the northeast section, Prince of Wales Drive to the East, Woodroffe Avenue to the west, and the intersect of Prince of Wales Drive and Woodroffe Avenue to the south. The neighbourhood includes the communities of Chapman Mills, Havenlea, Jockvale, Rideau Crest and Davidson Heights. Here is an infographic that describes this neighbourhood as a Village of 100 (2011 data).